Tuxedos and suits are been considered as the superior wardrobe collections in men’s clothing where the style been on track since longer decades. As fashion changes seasonally and takes different forms, the necessity for the up-gradation of these apparels in design, Patten, cut and style have also become inevitable. On understanding the need of modern generation, the fashion designers continue experimenting in bringing out the new and innovative trendy apparel collections of men’s clothing. One such brand that exemplifies modern, sophisticated style in providing pure aesthetic look in all its collection is Boggi Milano. Specialty of Milano suits As the tuxedo has turned to be the must worn attire for special occasions, many brands keep hitting their updated products every now and then in the market. Milano is a menswear fashion house headquartered in Italy. The fine fabric collection, stylish cut, in-house tailoring make, fine fit and attracting silhouette have made the brand stand top among rest of the competitors. The suits been manufactured by the brand pose a label of luxurious and classy make. One can purchase extensive collection of apparels that broadly varies in color, size, fit and pattern. The Milano wedding suits take the pride of flaunting a royal and chick look in giving a spotlight to the groom from the rest of ordinary man. Milano tailoring fits Traditional fit, slim fit, modern and custom fit are the regular fit ranges been manufactured by the brand where the brand’s modern, tailored profile has the capability to make men look best for all special occasions. The slim fit Milano suit gives a sharp classic look on the wearer where the equipped tailoring make remains close to the body in highlighting the true masculine nature of the men. To be of bit stylish, one can go for the choice of modern fit which is the updated pattern of a slim fit suit. 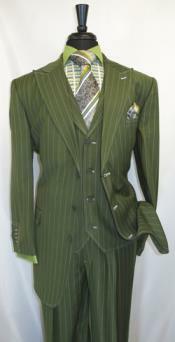 It features classic contrast lapels, stripes and flat front pants with a two button closure jacket posing a double vent at the back. The trouser comes with an extended tab waist with zipper closure. It is sure that this type of classic suit will give a dashing impression at your next black tie affair. Milano collections Most of the Milano suits are made of fine quality wool which makes the brand a bit expensive. Super quality 120’s, 130’5,150’s and 180’s cashmere and merino wool have been used in each of its clothing collections. The black modern fit suit made of fine wool with mild pairing accessories goes best on any men irrespective of the age. To flaunt really unique in an outstanding style then check out the latest collections of Milano clothing brands that include: Milano Black Three-Button Slim-Fit Tuxedo, Black Three-Button Slim-Fit Tuxedo, Milano Slim Fit Solid Light Heather Gray Wool Blend Suit With Peak Lapels, Charcoal Gray Tweed Two Button Wool Blend Suit and lot more. Each collection remains unique in its style features. Shop wisely and grab the one that is yours!